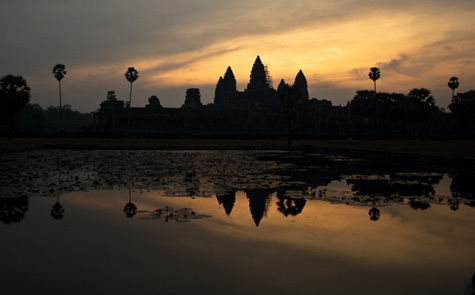 Our classic tours incorporate the most important cultural sites in Cambodia. As none of the tailor-made tour components require particular physical fitness of participants, they may be joined by anyone who wants to discover Cambodia at their own pace. All our itineraries and tours can be changed to suit your needs. The mentioned tours are therefore sample itineraries. On this tour you will visit the most important temples of the Angkor era surrounding Siem Reap, including Angkor Wat. Visit the major attractions of Phnom Penh and explore the fabled temples of Angkor at a leisurely pace. Highlights include a boat tour through the mangrove forest of Ream National Park and the white beaches of Sihanoukville. 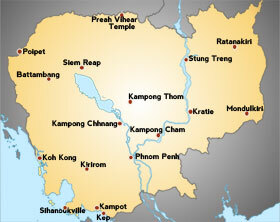 Want to explore the Land of the Khmer in a relatively short time? Then this is the tour for you!. On this journey we explore Cambodia’s fabled cultural heritage in depth.